GLobal Delight is developer of Photography, iOS, Apps, Software, Video, Mobile applications. Their latest application Boom 3D will be reviewed below. 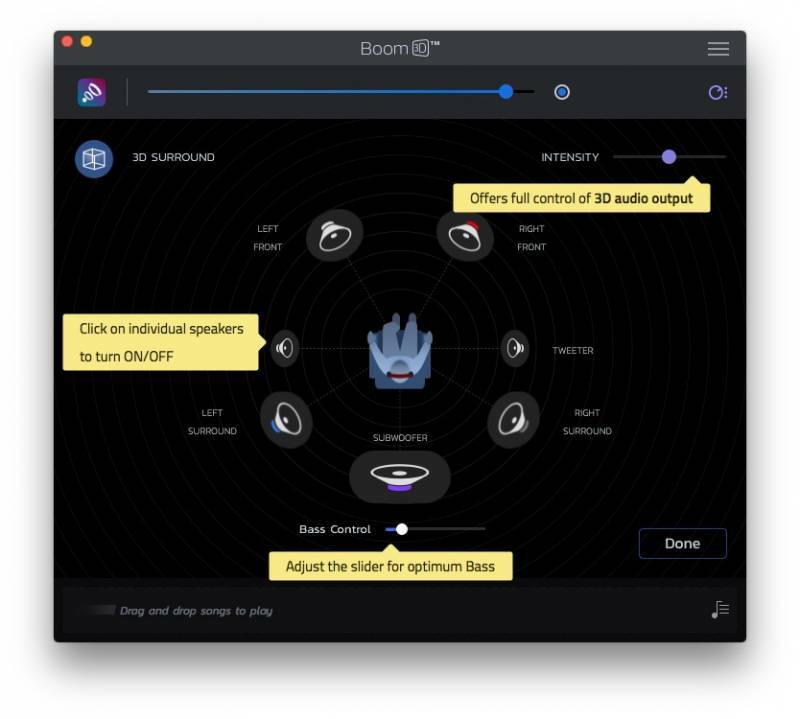 On installing, Boom 3D self-calibrates according to the type of Mac to offer the best sound experience to the users. After self-calibration, the application is ready to use. A Boom3D Helper-menu is located at the top bar at the right, ready for choosing some basic actions. 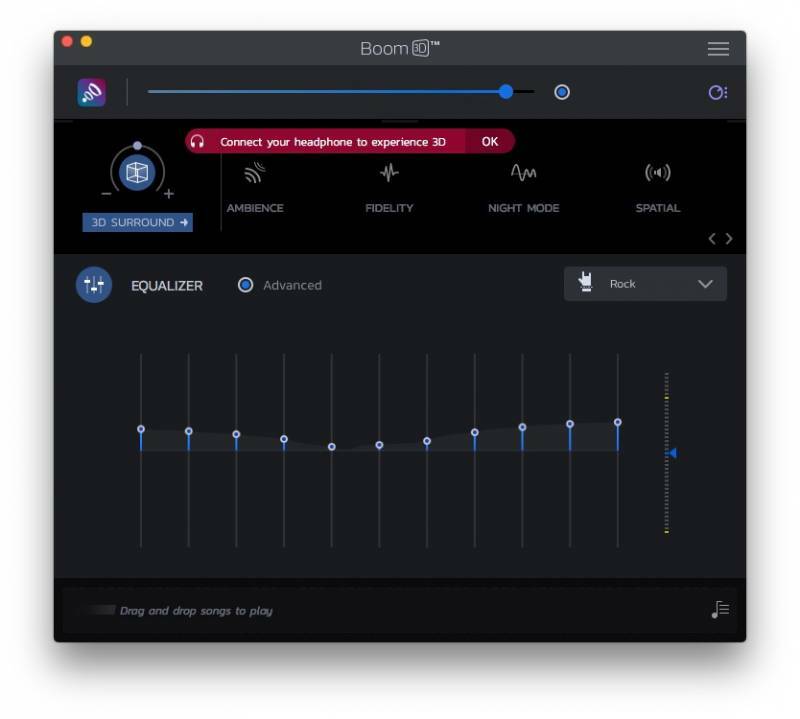 Boom 2 is for some time one of the best audio enhancers on the market. 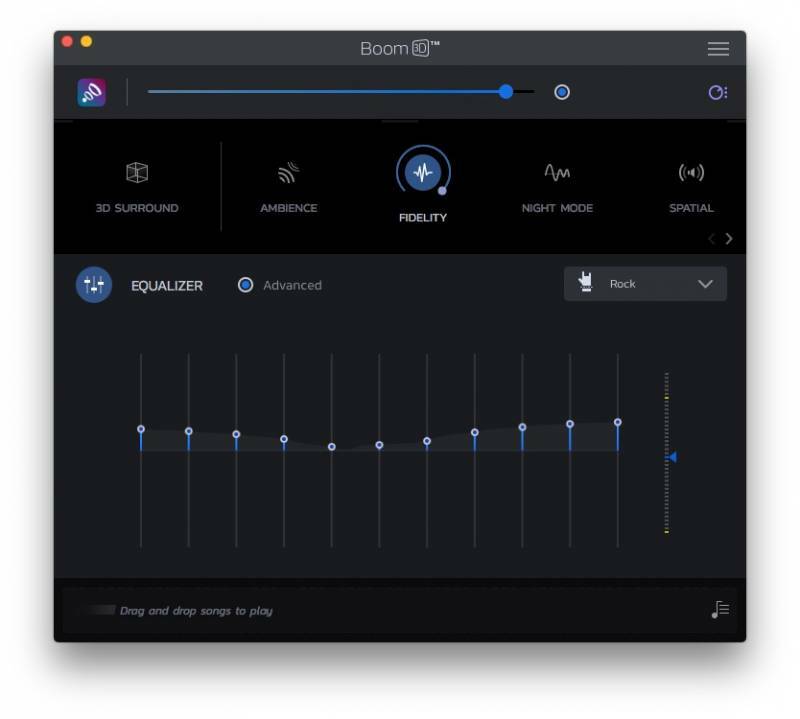 Boom 2 acts as a system wide volume booster and equalizer. I personally use it default for my iMac. 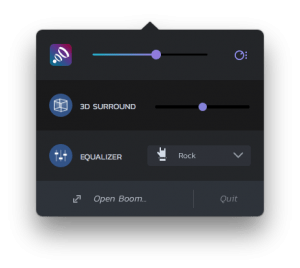 Boom3D is not a replacement for Boom2 but an addition to Boom2 having 3D sound options which are not available in Boom2. So Boom3D is most likely to suit anybody looking for 3D sound experience. The interface of Boom3D is even slightly nicer then Boom2, which is great too. 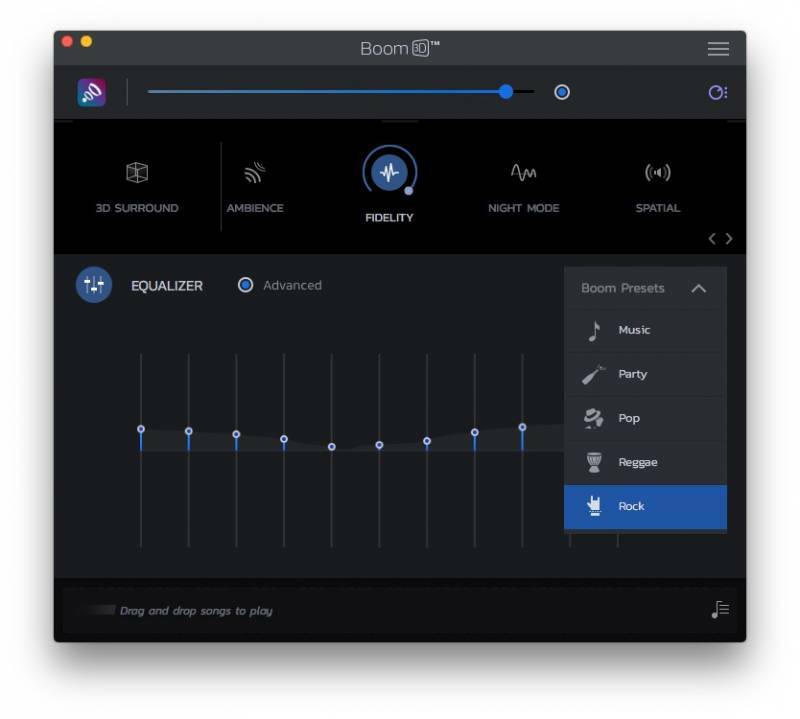 The in Boom2 ‘locked’ settings for Spatial, Night Mode and Pitch are all available in Boom3D. So no need to buy these unlock codes from Global Delight. 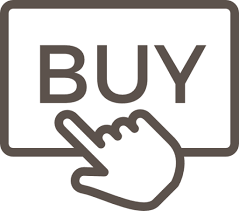 Your Mac sounds good or great depending on your personal taste and needs. Who wanted better sound had some options. Use a full external sound set or/and opt for an application taking your sound experience to another level. Your Macs iTunes offers you an equalizer and many pre-settings, but iTunes wont present a True new listening experience. 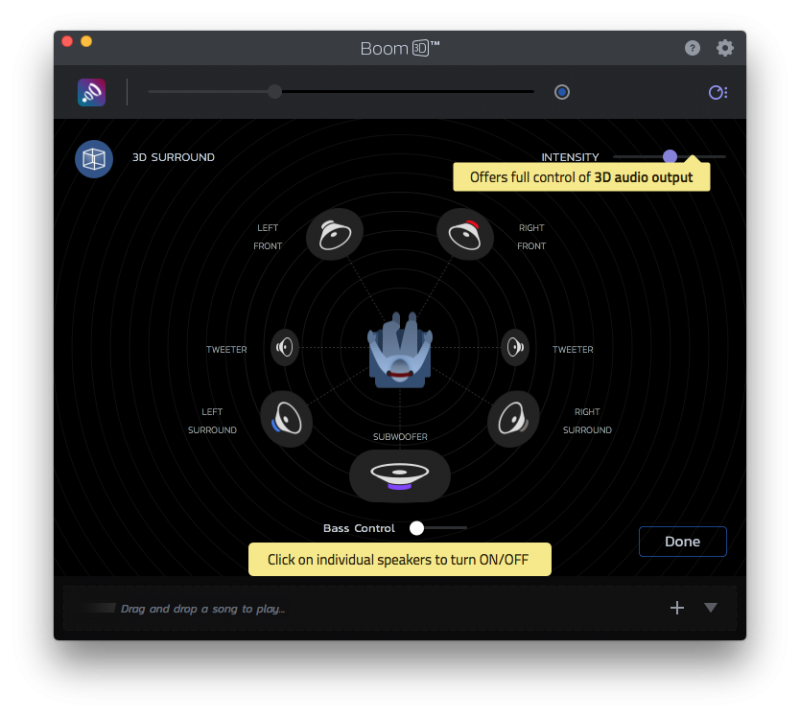 Boom 3D does bring new sound and spatial acoustics made available to your Mac. Volume boosting is just one of Booms 3D qualities. 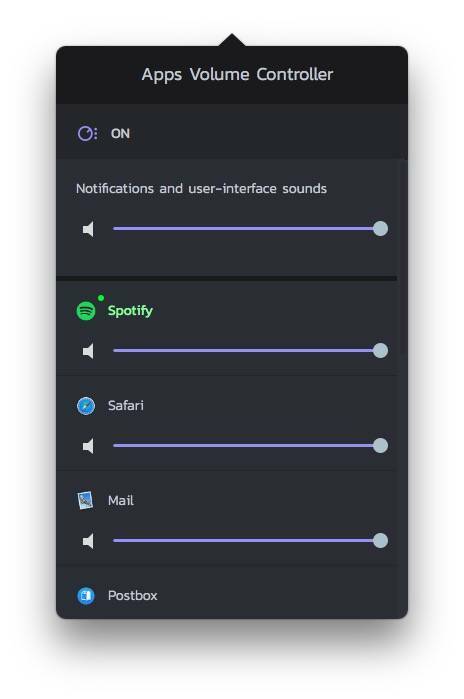 It also offers full Control over your personal sound settings. Pitch option is not a setting used by most users I guess. Cant see any real value in it for me personal. I can write as long as I want, but I can’t make you hear the difference in sound. The only option available is to Download and enjoy Boom 3D. Just try it out and decide for yourself if its up to your standards or maybe even better. Simple answer to this question. YES it is good and YES it is worth buying. Your Mac is great, but will sound even better. If you want to get the best or a better sound and music experience from your Mac, this application will do the trick ! Nothing is perfect in life, and our Mac’s are great but Boom3D makes it even better in day to day life. Wether you stream your audio, use headphones or simply use your Mac, your Mac sounds like it never did before. How does that sound for you? Try Download and enjoy Boom 3D. This is my recommendation to you all, but you decide if it fits your needs.